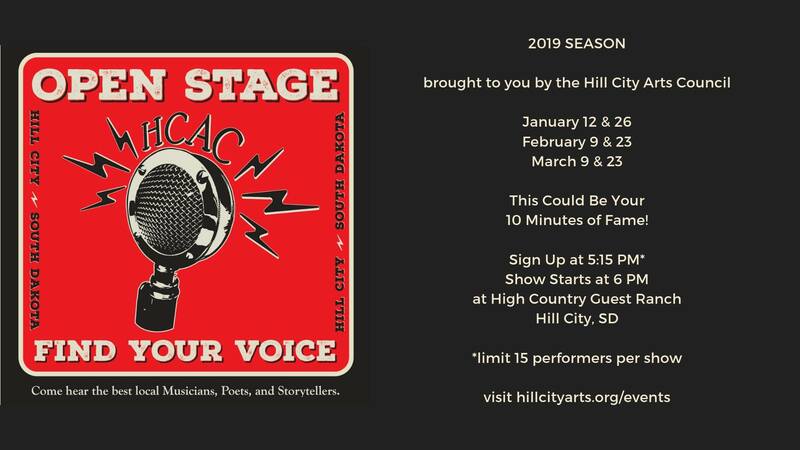 Join us at High Country Guest Ranch for Open Stage, a winter showcase of regional performers. The shows help musicians gain confidence through performance and assist local venues in finding and hiring talent for the summer season. There’s no cover charge, and free-will donations fund Art for Kids, providing college scholarships and grants to support arts education in our schools and community. A dinner buffet will be available- prices and menus will vary. Stay tuned for more information to come. Come on out to Open Stage – it’s the hottest thing going on a winter’s Saturday night!